Why is hair loss more likely for some people than for others? Inherited hair loss conditions can occur for many reasons, not just due to genes, but understanding the genes that cause Hair Loss means we can now understand why it's more common in certain populations. In the long term, this could lead to targeted therapies that can be started early in life to reduce the risk. Most people think of genes and heredity as the same thing, but there are subtle differences. This is because genes don't operate in isolation as simple on/off switches. Other genes can affect how they function. They can also be influenced by environmental factors, especially in the womb, during early childhood and at puberty. There are several different genes that can cause baldness. The best known of these causes classic Male Pattern Baldness, starting at the crown of the head, and is passed down the maternal line because it is attached to the X chromosome. Other genes affecting hair, however, are attached to different chromosomes, and scientists working in the field believe they have yet to identify all of them. What all this means is that unless you have genes for hair loss, you will not suffer from hereditary baldness. Having those genes, however, does not mean that baldness is an inescapable fate. Why did we evolve genes so that we lose our hair? Most scientists agree that the loss of head hair is related to the loss of body hair further back in our evolutionary history. Some have posited that genetic baldness will become more common in generations to come. Darwin argued that, as well as evolving to survive more effectively in their natural habitat, animals evolve to be more sexually attractive, increasing their chances of breeding and passing on their successful genes. As people generally find head hair attractive, this creates a mystery. The answer is probably that there are other traits that make a bigger difference to us (in terms of survival and therefore opportunity to have children) than keeping attractive hair does. Having less hair means that we can keep cool more easily when leading an active lifestyle. It also means that we are less likely to suffer from parasite infestations – simply put, bald people don't get nits. Factors like these probably helped us to develop genes that cause hair loss. Will genetic technology ever help us to find a cure for hair loss? Most researchers think so. In fact, it already has - in mice. In 2005, scientists found that hairlessness in some mice is caused by a single genetic mutation. By giving the mice a copy of the same gene without the mutation, they were able to induce them to grow a thick coat of healthy hair without the need for surgery or any further intervention. Gene therapy is a promising method for treating hair loss, but because so many genes are involved in human baldness, it won't be available to everyone in a hurry. Each mutation will need to be identified before it can be treated. What's more, gene therapies are still risky in humans, and the technology will need to improve before treatment could be given without the risk of serious side effects. 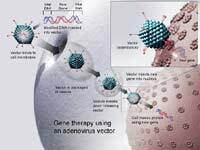 Most hair loss specialists agree that gene therapy is likely to become available for hair loss in humans some time during the next 20 years. For more information about hereditary hair loss, read our article Hair Loss Types in Different Ethnic Groups on this site.